South Africa’s Energy Minister, Jeff Radebe says a reliable, sustainable, competitive and secure electricity supply sector is crucial to attract investment into Africa. “It is therefore inevitable that we have to plan ahead and to coordinate our activities in a manner that improves our responsiveness,” the Minister said. Speaking at the Africa Energy Indaba currently underway at the Sandton Convention Centre, Minister Radebe said a deteriorating Eskom plant performance driven by old generation infrastructure, confirm that the country is now in need of more investment in new generation capacity to replace the old power plants. 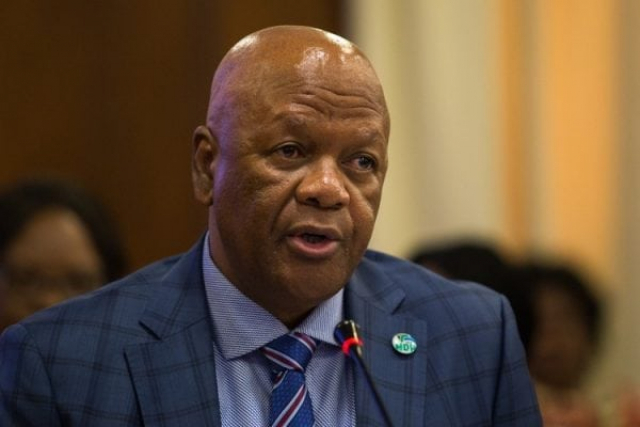 “Carbon capture and storage, underground coal gasification, coal to liquids and other clean coal technologies are critical considerations that will enable us to continue using our coal resources in an environmentally responsible way,” Radebe said. He said the green economy is a game changer that South Africa has been very successful in adopting through the Renewable Energy IPP Programme. “Since the inception of the programme. government has been successful in increasing the contribution of clean energy from zero percent in 2010 to over 4.5 percent within 5 years. “Investment in this sector will now exceed R250 billion, with the signing in 2018 of an additional 27 projects representing roughly 2000 megawatts,” Radebe said. He said there is also a need to build infrastructure timeously to meet the energy demands required for industrialization. “It is evident that over the years the traditional power delivery model has been unsettled by technological developments. “We cannot assume anymore that future power systems will be premised on large centralized power stations, delivering electricity over large distances to a captive consumer base at a load centre,” the Minister said. Radebe said more and more alternative energy models have come through, all competing for the same demand. Also speaking was Dr Christoph Frei, World Energy Council’s fifth Secretary General, who called for energy preservation in Africa. “We need to preserve our energy to attract economic growth into the African continent. We need energy to create more job opportunities,” he said. Dr Frei’s priorities have been to mobilise international energy leaders and decision-makers to work together towards building a sustainable future, underpinned by robust policymaking. Dr Frei’s main focus has been to provide world decision-makers with the necessary evidence base and the high-level dialogue platform for energy policies. The African energy sector requires US$40 billion worth of investment annually with a production capacity requirement of 7 000 megawatts per year in order to meet demand and ensure energy access to all Africans. This demand presents a major opportunity for companies to explore business opportunities in the African energy sector. As such, delegates at the conference will discuss, debate and seek solutions to enable adequate energy generation across Africa. Delegates, drawn from all continents, represent a combination of industry experts, project developers, financiers, energy users, government officials and energy industry manufacturers. Radebe said Africa needs energy planning policies that facilitate the development of an appropriate energy mix that includes nuclear, coal, gas, renewables and cross-border hydropower. “Africa has not fully taken advantage of the opportunity to create jobs through energy efficiency and demand side management (or EEDSM) at the same time as balancing the electricity system,” he said. Radebe said the 2007 power crisis in South Africa emphasised the need to coordinate the planning and timing of new power investments. The Africa Energy Indaba is a World Energy Council (WEC) African regional event and as such the event receives global recognition from energy professionals operating in Africa.